The new head of the HSE is expected to be awarded a salary of around €300,000 – a bumper €100,000 more than his predecessor. 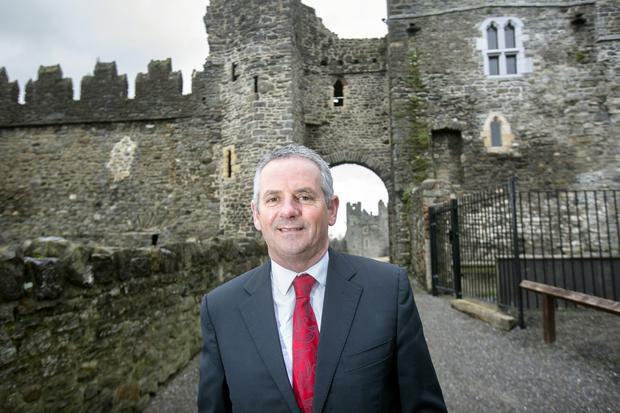 Paul Reid, manager of Fingal County Council, is expected to be announced as chief executive this week after nearly a year-long search. It is understood he will be paid in the region of €300,000 – more than €100,000 higher than Tony O’ Brien, the former director general who earned €190,000 before he stepped down in May over the CervicalCheck scandal. The job had to be re-advertised in December after the improved salary of €250,000 failed to attract suitable candidates. The Department of Public Expenditure had to sanction another salary hike, bringing the remuneration to around €300,000 as an incentive to an executive of experience who would take on the troubled HSE with a budget of €16bn and massive ongoing annual overruns. He will be better paid that the chief executive of NHS England, Simon Stephens, who is on a salary of around €226,000. Mr Reid started his career in the private sector, and spent a year as head of organisational development and corporate affairs with Trócaire before going on join the civil service in the Department of Public Expenditure and Reform. He oversaw reform and delivery in the public service and later became chief operations officer. The Trinity College business graduate, who has a lively Twitter account, describes himself as a “wine and food dabbler”, a Leeds United fan and an optimist. His current salary as Chief Executive of Fingal County Council is €165,320. He is the fourth head of the HSE since its foundation, all of whom have failed to turn the health service around. Patients wait years to see a specialist in ever-lengthening outpatient waiting lists and the trolley crisis continues to cause serious hospital overcrowding. The HSE had to ask for a €655m bailout last year despite record funding. Mr Reid will have to deliver on the promise of Sláintecare to move more care from expensive hospitals to the community. But this comes against a background of a GP service which is under severe strain and nurses who are objecting to plans to give employers more flexibility over their work location and shifts. Under a revamped HSE, Mr Reid will answer to a board chaired by Dublin-born UK charity chief Ciáran Devane. In recent months, Mr Reid clashed with Housing Minister Eoghan Murphy who criticised Fingal County Council’s performance in tackling the housing crisis. Mr Reid said his local authority had been relentlessly tackling the problem and exceeded Rebuilding Ireland targets. Neither the HSE nor the Department of Health would comment on his appointment yesterday.